Procurement and other key supply chain functions may determine whether companies succeed or fail in their strategic goals in 2018. Introducing new products, expanding a business geographically and ramping up the scale of production are a few possible ways to make progress as an organization, and any of these approaches may be derailed by a supply chain that can't keep up with leaders' goals. Becoming better at managing sourcing and procurement, even as a business changes its scale or approach, is an admirable goal for supply chain leaders to hold in the new year. Achieving this aim may mean overcoming historically inflexible practices. Forbes contributor Jonathan Webb recently suggested that today's supply chains are often "brittle" and fall into disrepair when levels of demand change quickly. Breaking out of this vulnerable tradition may mean adopting practices such as an agile mindset. Agility, a concept from the software-development world, means constantly iterating on existing processes and rolling out improvements. "Responsive firms can meet market demand without constantly renegotiating contracts." Webb added that flexibility can be built into the contracts between buyers and suppliers. When there are changeable and responsive aspects written into contract language, firms can shift their approaches to meet market demand without constantly renegotiating contracts. Historically, the main concern that has gone into supply contracts is cost. Buyers have driven prices as low as possible, counting the money saved as a sign of success. 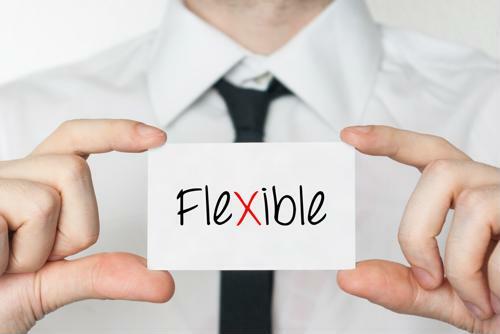 Webb noted that in the modern era of increased demand and the need for adaptability, flexible agreements may be even more important than rock-bottom prices and therefore worth securing. When naming his top 2018 predications for Supply Chain Management Review, FarEye CEO Kushal Nahata mentioned an overall increase in flexible operations. As with numerous other recent operational changes, technology will enable the move toward better supply chain responsiveness. Nahata mentioned automation tools as the engine powering these changes in the logistics world. Companies that automate many of their key processes will be able to scale their operations up and down more easily than those that resist technological integration. Meeting the challenges posed by fluctuating supply chain demand is sure to be high on executives' priority lists for 2018. Too much unused capacity is a drain on an organization's budget, and inadequate services lead to lost potential business. Creating a flexible infrastructure that deftly adapts to the needs of the moment, no matter how quickly they change, is a worthy goal for supply chain leaders as they improve their departments.